The people of Kwara South Senatorial District were placed in the state of confusion, following the release of the official list of candidates contesting in the 2019 Presidential and National Assembly Elections holding on February 16, 2019. The confusion flows from the unexpected named of the Governor of Kwara State, Dr. Abdulfatai Ahmed on the list released, as the flagbearer of the People's Democratic Party (PDP), as Senator representing Kwara South Senatorial District at the National Assembly. Countless reactions have been generated from divergent sources. A particular source was of the view that the name of Governor Abdulfatah Ahmed seen on the list was a mistake on the part of the Independent National Electoral Commission, INEC. 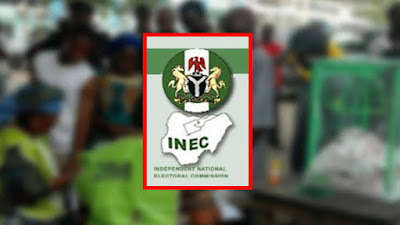 INEC has classified such view as errornous, claiming the Electoral Body was never officially inform about the withdrawal of the Governor, according to the stipulated procedure. According to the Resident Electoral Commissioner in Kwara State, Mallam Garba Attahiru Madami he said: "There are procedures to be complied with in the change of candidates, and they must be strictly complied with. The non-compliance will result in nothing but what the Kwara State Chapter of the People's Democratic Party is currently facing, with regards to the list of candidates released by INEC. The People's Democratic Party failed to duely communicates with INEC, in respect of Dr. Abdulfatah Ahmed's intention to withdraw from the race." "It should be tritely noticed that the Independent National Electoral Commission INEC should not be drawn into the partisan politics of the Nation, for the maintenance of a peaceful democratic setting. In no doubt the Electoral Commission, meticulously treated all correspondences received before publishing the list of candidates contesting in the 2019 General Election" the INEC commissioner emphasized. He said this while responding to questions about certain irregularities raised in the candidates list published by INEC specifically those of Kwara state stating everything was done according to the guiding laws and only Court verdicts can effect changes in the already published list. Mallam Attahiru further added that, INEC will deliver, free, fair and credible elections in the state in 2019, and INEC under the watch of his boss Mahmood Yakub will maintain professionalism and neutrality as expected.